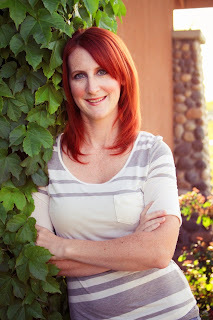 Today author Jocelyn Stover is trying to get some insight into her heroine Gwen so she asks her hero Kade about the first time he saw her. Will he give her the answers she needs? You can’t escape who you are, but no one ever stops to explain to you the cost of discovering such knowledge. By the time Gwen learns that her fiery red hair marks her as more than just a bad temper on two legs it’s too late to make a choice. Catapulted into a realm she doesn’t understand thanks to the actions of those around her, Gwen is forced to embrace an unknown legacy and rely on the word of an old friend who is more than he seems. Will the price of self-discovery prove too much for Gwen to bear? And how do you save the world when everything feels just out of reach. I’m alone in my writing cave working on the rough draft for book three of The Wanderer Series when a stray thought distracts me. Unable to move on, I call Kade for help. “There’s something I have to know,” I tell him. “There usually is,” he says to poke fun at me, folding his arms across his chest and stretching out in the recliner by the bookshelf. It’s my reading chair and consequently the only one he likes. He’s right though, our meetings tend to be one-sided and all about me, and what I need to know. “You already know about that,” he declares, closing his eyes and making himself comfortable. “What doesn't set her apart?” he tosses back, peeking at me through a slit in one eyelid and ignoring my latter comment. “A little insight please, what did you see that day?” Sitting up, he leans on his elbows and contemplates my words. “So there’d been no other women for you?” I interrupt. “I’m not a saint! Of course there were women… a few, a brief respite to dull the aching loneliness of time, but nothing more.” The hollowness of explanation tears at my heartstrings and even now I can’t imagine what it must have been like for him. “And you followed,” I add in an afterthought, caught up in his passionate retelling. “Can you see it when you look at her? Her power, I mean.” Glowing amber eyes flit to mine and I have a deep sense they are peering into my soul. “No, I don’t see anything,” he says and shakes his head. “Oh.” I slump back, deflated. I’d come to a particularly difficult passage in my writing and was hoping some deeper insight into the day they met might clear things up. I gathered from talking with him that Kade had always seemed to know that Gwen possessed the ancient abilities even before he witnessed her power. Heavy, I think. I am ruminating on the implications of this new information when Kade slips from the room. As always he answers one question but leaves me with a handful more. 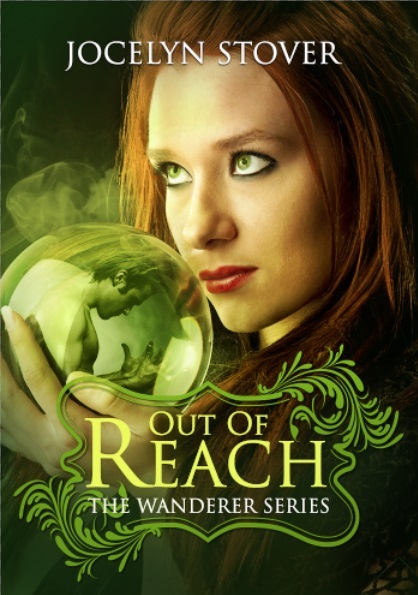 Out of Reach (Wanderer #1) on GoodreadsGwen Cohen has aspired her whole life to reach her current position of project manager at Preston-Ward Pharmaceuticals, but when she stumbles upon a dirty little secret everything changes. As she struggles with the reality of evil and her own powerful legacy, she gets pulled farther from the world she knows and closer to the one she can’t deny. Eyes finally open, Gwen struggles to unlock the dormant magic within herself before it's too late. The lines between love and desire, and duty and commitment become exceedingly blurred and the ultimate choice to be made may not be between right and wrong but the head and the heart. Author Jocelyn Stover is giving away 10 autographed paperback copies of Out of Reach to celebrate the upcoming release of A Step Away (Wanderer Series #2)! As an added bonus, there are LOTS of chances for extra entries!! !